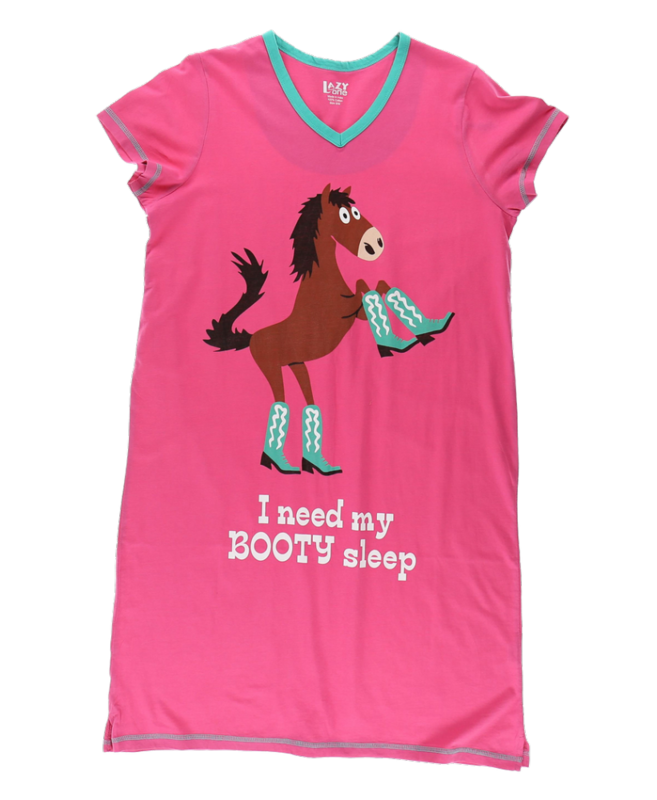 This pink top with blue accenting by Lazy One features a horse wearing cowboy boots and the caption "I need my booty sleep". The stylish cut hugs the body and slightly tapers through the waist, and color pops with a contrasting raw-edge trim. 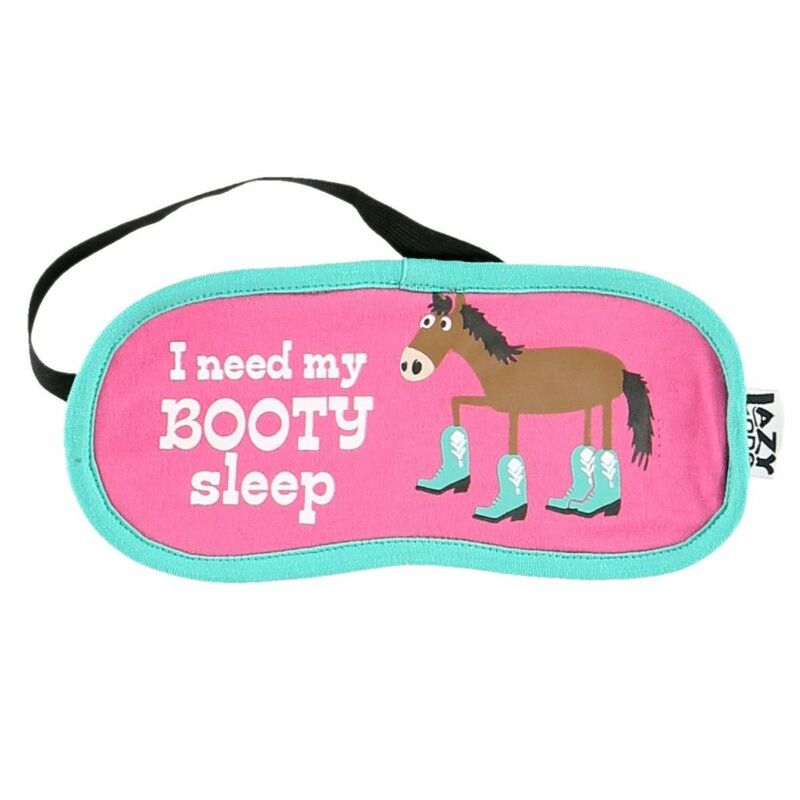 Raw-edge trims provide maximum comfort while sleeping.